Loss of all transmit is just one of the common symptoms caused by one shorted tiny filter capacitor. Another one will kill all receiver audio, and another will kill all mike audio, but still show you a dead carrier on AM transmit. The part causing your failure is just one of a half-dozen of them that we see cause mischief around or past that 20-year mark. You’re looking for is C95, a 47 UF (usually) electrolytic rated at 10 Volts. The 10-Volt (and 6-Volt) rated capacitors tend to fail first, around the 20-year mark. More often than not, this occurs after a long visit to the shelf. Within a week or two of being put back into service, one of these 10-Volt caps will short internally. C95 is at the rear end of IC3, a type AN612 chip that has a single row of seven pins. It’s near the center line of the main circuit board about one-fourth of the way back from the front edge of the board. Might have to push the wiring harness aside to see it. IC3 provides your modulation on SSB and your carrier on AM. C95 filters the power to this chip. When C95 shorts, a 100-ohm resistor R108 that feeds to it may get REALLY hot and also have to be replaced. Quick test is to pull out C95. If you see any joy on the wattmeter, that means it was bad. Just don’t run the radio with that capacitor removed. It’s there to keep noise and feedback out of that chip, and out of your transmit signal. The capacitance value is not critical. Anything from 33uf to 220 uf will do the job. We never use a voltage rating lower than 25 Volts for that kind of part. When you buy 10,000 of them the 10-Volt part may be a bit cheaper. At the quantities I buy them, the 25-Volt part costs pretty much the same. We never recommend replacing all the electrolytics in a radio that’s only 20 years old or so. But the 10-Volt rated electrolytics are a different matter. Still working on a “kit” of the Ten-Volt caps. Gotta figure it should include directions with nice, clear photos. 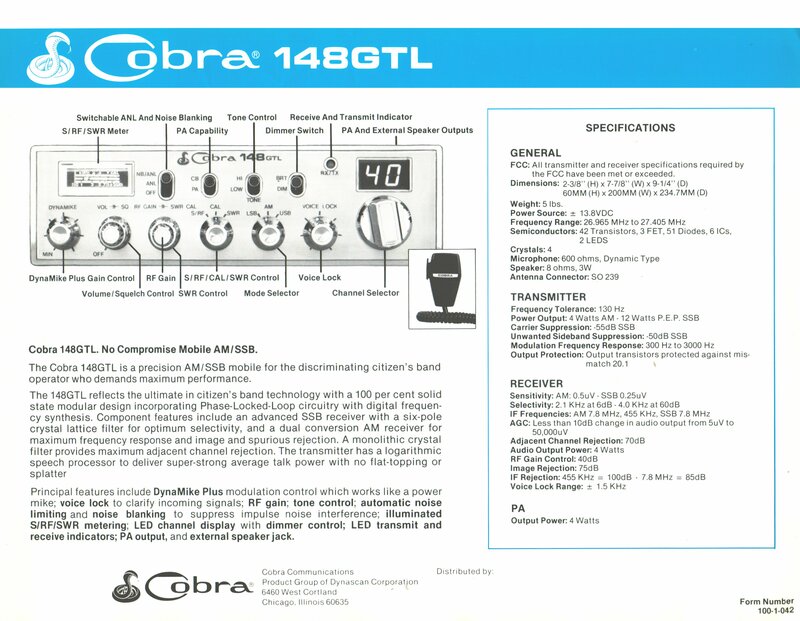 This entry was posted in Blog, CB Radios, CB-Radio-Hobby, Cobra CB Radios, Electronic Repairs by AlphaXray NumberFive. Bookmark the permalink.